Before getting involved in the project, the school grounds at Kyaro primary school were bare and lifeless. Now, they are scattered with around 2600 trees of varying ages, some as young as 6 months old and as old as 3 years. At the intervention area in Kinesi, schools play an important role in reforesting the area. Today, 130 schools have planted trees on school grounds providing timber and fencing, and shade and fruit for school children and teachers. Trees planted on school grounds also provide opportunities for environmental education, getting young children thinking about environmental conservation early. In fact, at Kyaro school, it is the children who go down to collect water from the nearby lake to water the trees. Kyangombe Secondary School, which 183 children attend, has received 1,007 trees from the project. These trees are now around 2 to 3 years old. 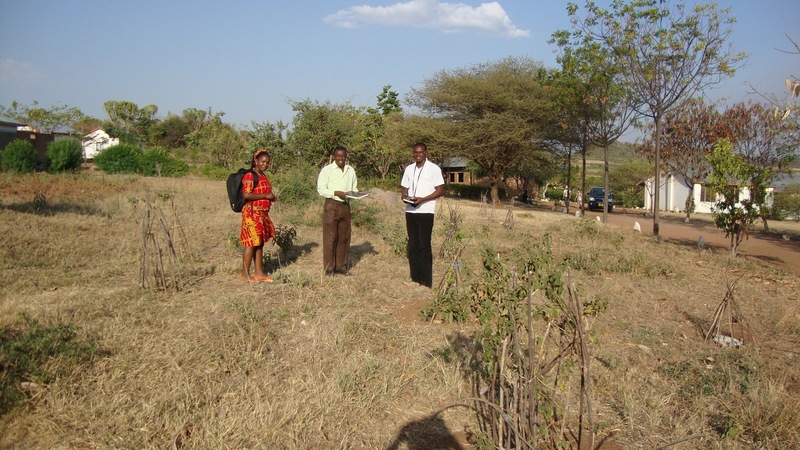 When Obadia, the project's tree planting coordinator (below, right), and Petronila, the office assistant (left), met with the headmaster of school, they were able to see first hand the immense effort of the school in nurturing and caring for their trees. They recognize the value of trees and have a vested interest in the success of their project. For instance, among the species planted is Moringa (Moringa oleifera), an extremely valued plant for its nutritional and medicinal properties. The school has been trained to harvest the leaves for their nutrition and the seeds for water purification. It is because these trees provide direct, observable benefits for the schools that plant them that make this project so worthwhile. 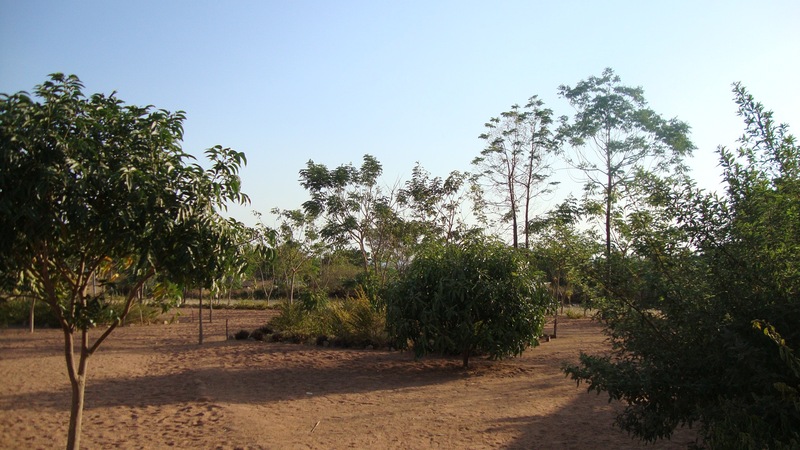 For Kinesi, the trees provide more than environmental benefits. They provide food and clean water. They are immensely important for the villagers, from the youngest school child to the most elderly. We see this particularly at schools, where both teachers and school children are benefiting from planting trees.